1. ART AND CRAFT FAIRS: Coming up this weekend is Market on the Lawn (December 19 at Devon House) and the Potters Fair (December 18th and 19th at the Forestry Dept. on Constant Spring Road). These fairs are a manageable size, fun and social. And they are chock full of interesting artsy/crafty items, great ceramics and lots more cool stuff that make great Xmas presents! I’ll also be at Market at the Lawn on Sunday selling the 2010 line of YardEdge jewelry – so come find me!. 2. 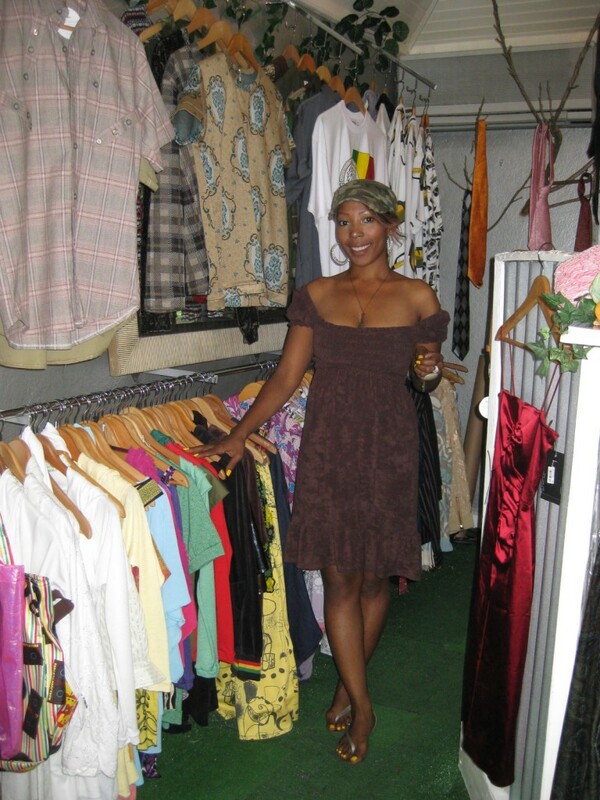 STANLEY AND EMPRESS: S&E is a small boutique at 94 Hope Road (behind Starapples restaurant) run by Nadia Stanley and Empress Mullings. S&E features a chic collection of mens’ and womens’ wear, accessories, bathing suits and lots of other fashionable items at reasonable prices. S&E have a strong focus on local designers which I love. They also offer great customer service! 3. THE WANDERER: A hip spot at 3 Queensway off Hope Road, the Wanderer specializes in vintage Mexican and Native American silver jewelry plus other jewelry and a good selection of art work. They are now having a 20% off sale until the end of December. 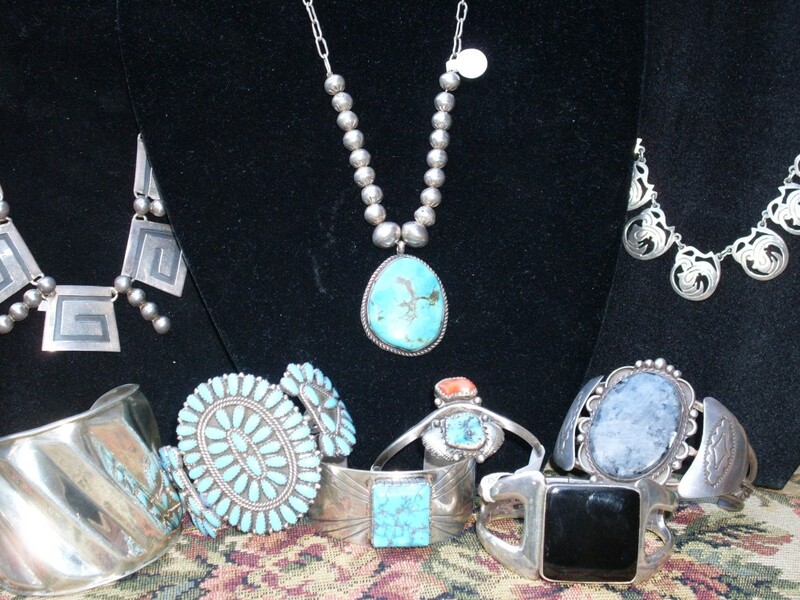 Some of the jewelry pieces at the Wanderer are beautifully adorned with turquoise, onyx, malachite, amethyst or red coral, and all stones are genuine. The Wanderer also carries a small selection of Albert Huie paintings, large and small woodcuts, Chris Gonzales prints and water colors, Audrey Lynch paintings, Kacey Ferguson prints, mirrors, buddhas and wind chimes. Colette is also certified in Padabhyanga (Ayurvedic foot massage) and gift certificates are available ($2000.00 for one massage or $8000 for a series of five massages (highly recommended). This includes identification of Ayurvedic type and guidelines to adjust imbalances through diet and lifestyle. Padabhyanga helps calm the mind, maintain eyesight and hearing, promotes quality sleep, improves peripheral circulation, aids foot health, and helps prevent sciatica. Colette is a graduate of The School of Ayurvedic Massage and Panchakarma therapy, Kannur, Kerala. For more information please contact Colette at the Wanderer 92-66071, 11am-6pm. 4. BASE KINGSTON: This boutique is located in Manor Park Plaza and is mainly for the men but now offers fashions for women too (Belle). Base/Belle offers a highly differentiated collection of fashion and streetwear apparel, plus accessories and home goods. Rooted in Jamaica, Base appeals to the global citizen who keeps up with the latest trends, music, news and fashion worldwide. 5. ART GALLERIES: There is so much great reasonable art around in Kingston’s numerous galleries. And art is always a great gift. See our list of art galleries and artists in our “Art” archives. SAY THANKS A LOT for returning this to my eyes, my children will benefit a lot.